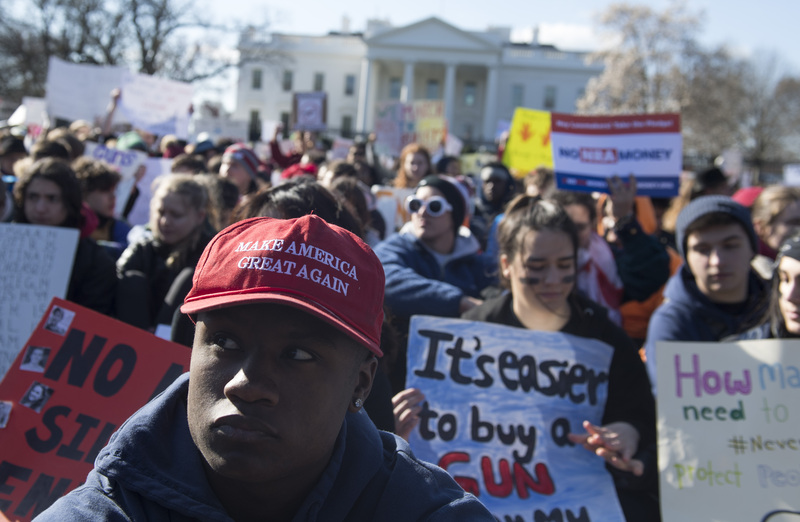 Minnesota students taking part in the national gun control walkouts on Wednesday allegedly assaulted another student carrying a Trump flag. According to CBS, the incident occurred outside of Southwest High School and Minneapolis Police are currently investigating the incident as an assault. Per CBS, two students taking part in the protest allegedly noticed the male victim holding the flag while standing across the street from the school. So far, no arrests have been made in connection to the incident. Students from all levels of education took part in the nationwide demonstrations protesting the NRA on Wednesday. Sanders called on the protesters to have the “courage to take out the NRA” and force Congress to pass gun control.